If you are reading this post right now, the chances are that you’ve already made up your mind to take vocal lessons. But the question is: how do you get everything to align correctly? Well, I will be giving all the tips you need to find the perfect teacher. Hope you are ready for the ride? You see, when it comes to learning a new skill or improving an existing one, you would want to learn from someone who is an expert and is actively practicing the skill you are interested in. Why on earth would you want to take vocal lessons from a supposed teacher who isn’t great at singing? I’m pretty sure you would fall for such crap. But sometimes we make a few mistakes and bad decisions, so you shouldn’t see it as a massive setback if you get unlucky enough to be taking vocal lessons from a bad voice teacher. This is because psychology plays a big part in voice training. Virtually everyone is aware of the fundamentals of a vocal lesson such as resonance, posture, breathing exercises, high notes, and so on. But vocal lessons go beyond all these, as they are just THEORY. What most bad voice teachers do is they come up with one excuse after another just to avoid performing what apparently is the most important task – singing. But is it possible to hire a voice teacher who is bad at singing? The answer is yes. 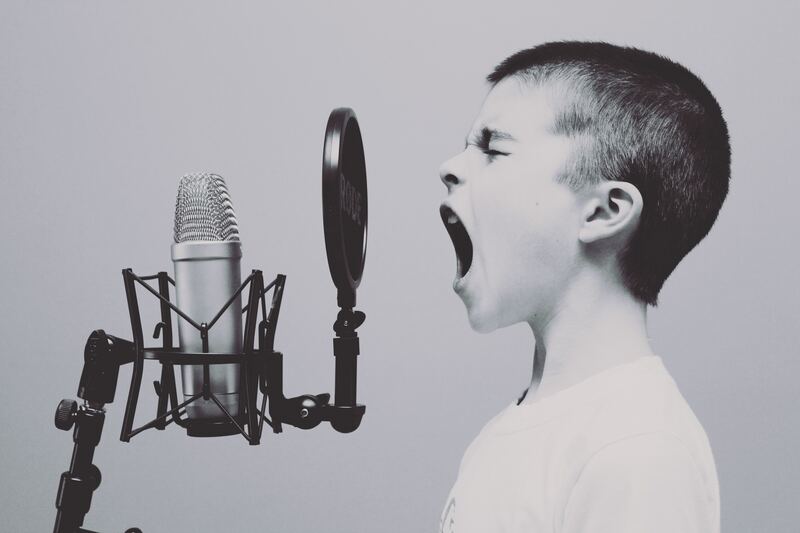 Many voice teachers have never faced the challenge of having to perform or deliver outstanding vocals; the only thing they have as a “proof” is the theory. The first are those who are great at singing but have no idea about teaching others to do the same. They still rely on methods of other teachers and hope to use them to teach their students. The second category is those who have no clue whatsoever about singing or teaching others to sing. They have no idea about the steps to take to become a great singer and therefore have nothing to offer you. They often brag about great singers who have once been their students, but the truth is that those students were probably already good singers. Again these categories of teachers are skillful at hiding behind the theory, but the most important thing is what happens the exact moment the person opens his mouth to sing. This is where all the magic lies. Are there instances when you’ve heard your teacher sing nicely, and you feel like “yeah, I want to learn to sing that way”! Is he able to do what he teaches effectively? Does he answer all your questions convincingly without giving excuses? Now listen up guys, it’s possible to get scammed once, but you shouldn’t get scammed all the time. There are lots of resources available online for you to harness. If you are not getting good results after putting lots of effort, then you may have to change your approach. GOOD TEACHERS are costly, but BAD TEACHERS cost more! Getting rid of a bad habit can be challenging, and it’s easier to train a voice that hasn’t been trained badly. Do not embrace a vocal technique that doesn’t feel right for you just because a book endorses it. There is so much information out there, and all you need to do is to get started and carry out your research. Should You Attend A Voice Training Institute? Your advice to find a singing teacher that can effectively do what they teach is a good idea. This could help you get examples of anything they tell you so that you know what to expect in order to get a better outcome during your voice lessons. In order to find one, you’d probably want to research the different instructors that offer voice lessons and then see if you can meet with them or if they offer performances so that you can get an example of what they offer and even have the opportunity to ask questions or see if you’re comfortable around them. The key in my opinion, apart from the demonstrations which is the obvious point of the post, lies in asking specific questions and getting a feel from the responses. If it seems like nonsense, the teaching will most likely be nonsense too. The goal of the vocal coach is not to reinvent the wheel. My goal as a coach is to make the person in front of me figure out what the hell is going on with his own instrument and how to make it all work. Clear vision and clear instruction leads to clear result.